Delicate silver necklace with rose cabochon pendant. 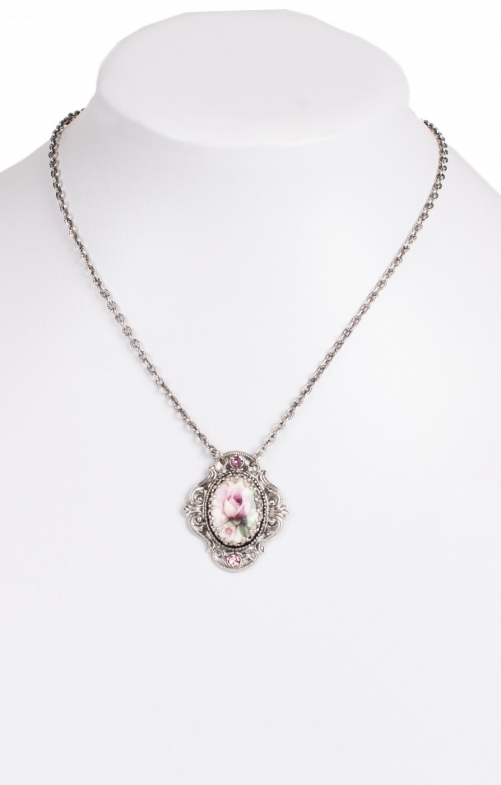 This splendid collier with Swarovski crystals is the perfect finishing touch for a vintage inspired romantic Oktoberfest outfit in Trachten style. Dangling from a textured silver cable chain is a cabochon pendant set in silver and flanked by pink Swarovski crystals. Pair it with the matching ring in this collection, and make a stylish statement at the festival and elsewhere.